The kitchen is said to be “the heart” of any home. It clearly reflects the needs and lifestyle of the people, it belongs to. 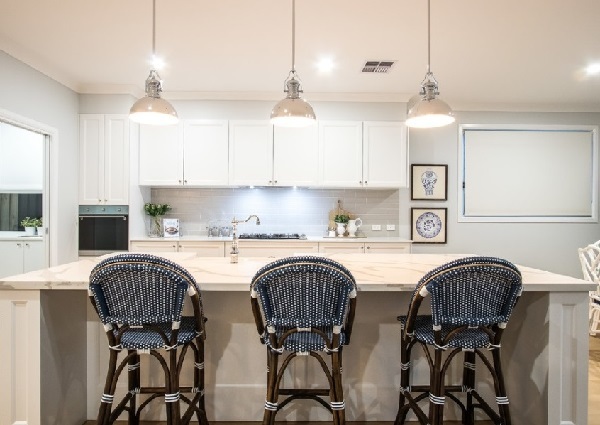 Often when we are planning to design our kitchen or remodel it, we just go blank as to how to make it look subtle as well as reflect our personality, the way we are. 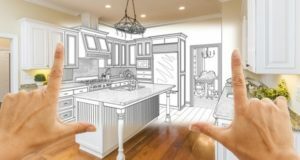 Here is a quick guide on how to design and decorate kitchen that reflects your individualistic tastes and looks trendy as well. There is a plethora of choices in ways how your kitchen can be designed in this new age, as soon as we decide on the budget. 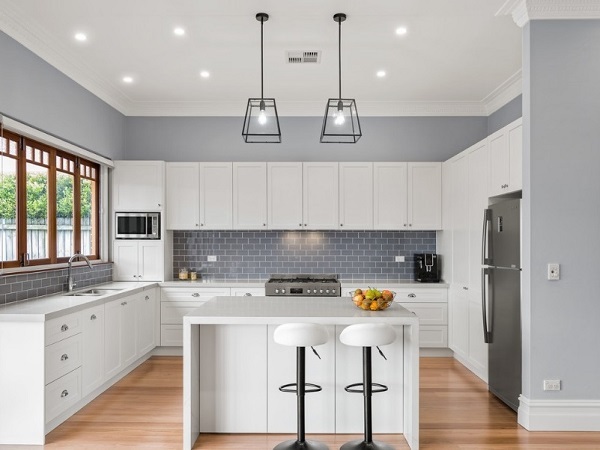 Every year trends change in designing and decorating, hence today we are bringing kitchen design trends for 2019 year. So let us take a look at some cool ideas below. 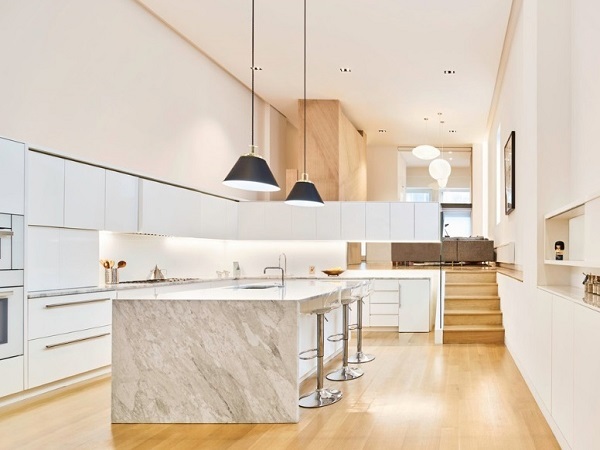 Granite has been the go-to material for countertops, but it’s time to let something new like quartz, enter the kitchen and make it look timeless. Chuck the old trend of keeping your kitchen in white and ivory tones and let some splash of bright and darker colours in. Just like white tones, glossy finishes have been a rage, it’s time to matte everything to add that elegant sense of drama. Let go of the graphic signs as tiles and add Spanish or Moroccan inspired tiles for a visual impact. Use stoves and hoods in contrasting colour combinations to add some quirkiness. Technology advances keep enhancing our daily lives. 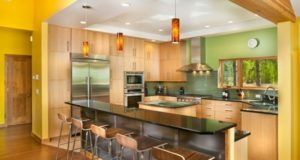 From screen display refrigerators to remote control lighting, the kitchen had never been given an option to get this smart. As compared to the older wooden shelves, glass shelves look much elegant and luxurious and they are easier to clean too. Instead of multi-dimensional islands, use single leveled ones to let in more light and make an obstructed conversation and dining area. 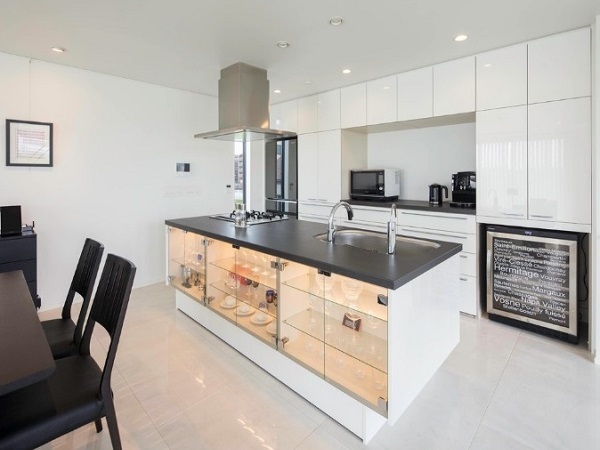 The islands if made smartly can also be used for storage options to maximise space. 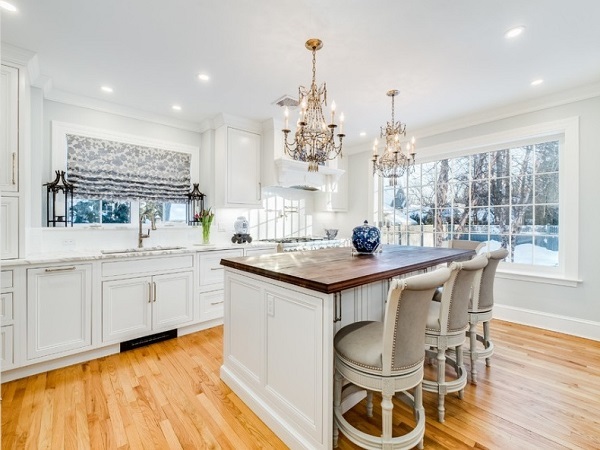 Good bye to the usual sinks and hello to the unique, statement-making sinks with intricate designs and ornate fixtures to make your kitchen look unique. You can also use covered sinks that can add up to your space and also covers those dirty dishes to be cleaned. Use different kind of metals and finishes that go well together to not make your kitchen boring and keep it lively. Use bold-printed flooring to add that sense of drama in the kitchen and match up the cabinets and tiles with the flooring. Add some everyday glamour to your kitchen and dining area with modern and stylish stools. Minimal furniture is the new millennial trend. While choosing the cabinets and other furniture try to keep things minimum and let the floor and walls be clutter free and spacious. 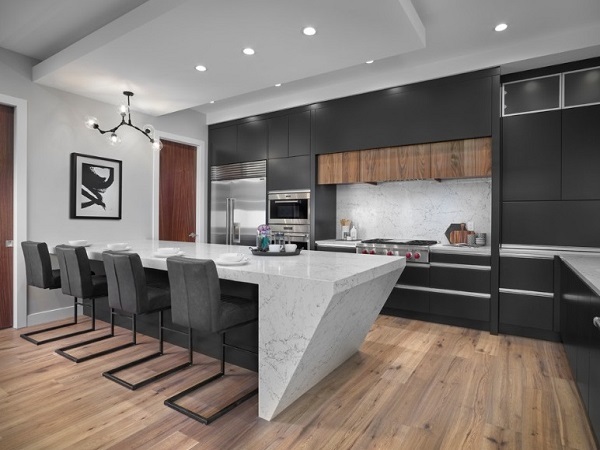 Now that you have got an idea about the latest trends for your kitchen designing and decoration in 2019, why not just get started with some experimenting!